To help pay for trash bags and other supplies, T-shirts were sold. Everything the volunteers brought to designated zones was hauled away by city sanitation departments. “There was a lot of big stuff out there that first year,” Pahno said of Pleasure House Point, where he has volunteered for all 25 events. In addition to cans, bottles and cigarette butts, there were appliances, construction debris and tires. 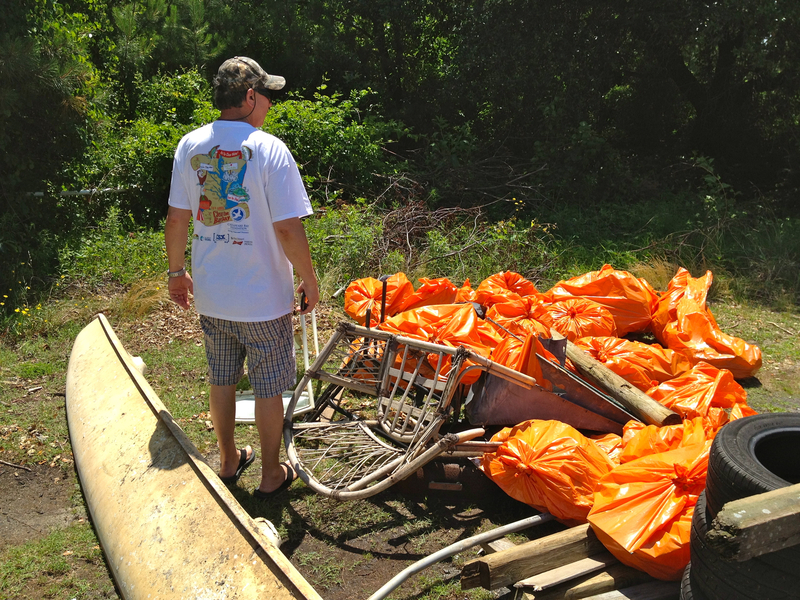 That’s a pic from Clean the Bay Day last year with some of the trash we picked up. Steve Pahno, of Dominion Printers, has been the team captain since day 1 for CTBD on PHP. ← Be safe this holiday weekend!